Junior “Siy” Jerome Grigsby, age 93, longtime Sunnyside resident passed away on Thursday, September 13, 2018 in Yakima, WA. Siy was born on March 28, 1925 in Toppenish, WA the son of Clara (Russell) and Fred Grigsby. Siy received his early education at White Bluffs, WA. He then moved to Seattle, WA to live with his sister, Hazel and found employment at Boeing’s where he rode his bike every day to work. Siy entered into his military duty serving in the United States Coast Guard and also received his pilot’s license. On March 20, 1949 he married the love of his life, Ruth Sprauer in Oregon. 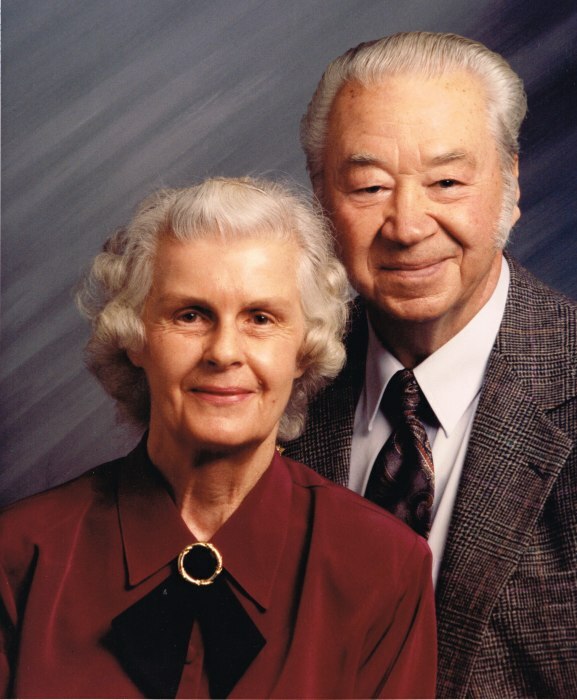 Siy and Ruth moved to Toppenish, WA where Siy worked as a truck driver for various companies in the Lower Valley. Siy received his million miler award. He also worked several years for his father-in-law, Blasius Sprauer on the family farm. Following retirement at the age of 50, Siy and Ruth enjoyed traveling to Moab, Utah to ride motorcycles in the desert and also trips to the Oregon Coast. 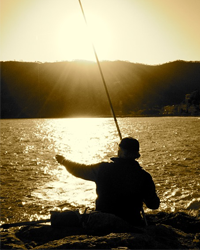 Siy also loved to fish at various lakes in the Northwest. Most of all he was so proud of his granddaughter, Mindy and great grandchildren, Randy and Amber. Watching them achieve their personal goals, participate in sporting events and challenging them to a game of checkers. Siy was a member of the Sunnyside V.F.W. and Sunnyside Eagles. He is survived by his loving wife of 69 years, Ruth Grigsby of Sunnyside, WA. Daughter, Donna Oswalt (Larry) of Sunnyside, WA. Son, Don Grigsby (Pam) of Yakima, WA. One granddaughter, Mindy Ter Maaten of Post Falls, Idaho. Two great grandchildren Randy and Amber Ter Maaten of Post Falls, Idaho. Sister, Hazel Bartley of Lake Cushman, WA. He is preceded in death by his parents, Clara and Fred Grigsby and numerous brothers and sisters. Viewing and visitation will be held on Friday, September 21, 2018 from 1:00 pm to 6:00 pm at Smith Funeral Home in Sunnyside, WA. Funeral services will be held Saturday, September 22, 2018 at 10:00 am at Smith Funeral Home Chapel. Burial with Military Honors to follow at Lower Valley Memorial Gardens at Sunnyside, WA. Those wishing to sign Siy's online memorial book may do so at www.funeralhomesmith.com Memorials may be made to donor’s choice in Siy's memory. Smith Funeral Home in care of arrangements.